Mandolinist David Grisman is a longtime friend and collaborator of the late Grateful Dead guitarist Jerry Garcia. His music is known as “Dawg” music. 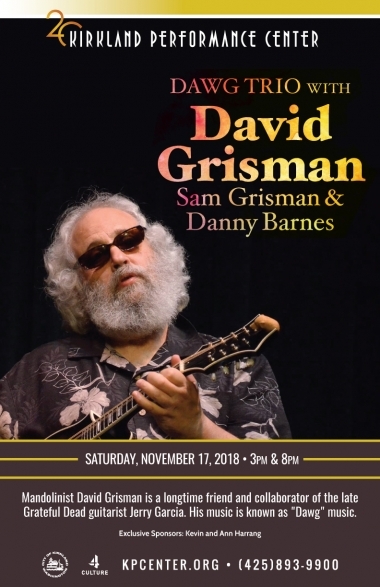 For nearly half a century, mandolinist, composer, bandleader, producer David Grisman has been a guiding force in the evolving world of acoustic music. His musical range is wide and deep, embracing many styles, genres and traditions.